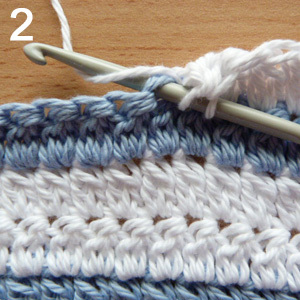 Crochet two cluster stitch pictorial – Is also known as dc2tog for US crocheters and tr2tog for UK. 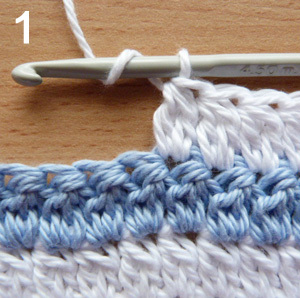 I have used this stitch in quite a few of my designs and probably will in lots more in the future, this step by step pictorial shows you how to crochet it. 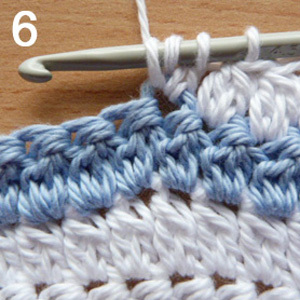 Repeat steps 6,7 & 8 for a three or four cluster stitch. 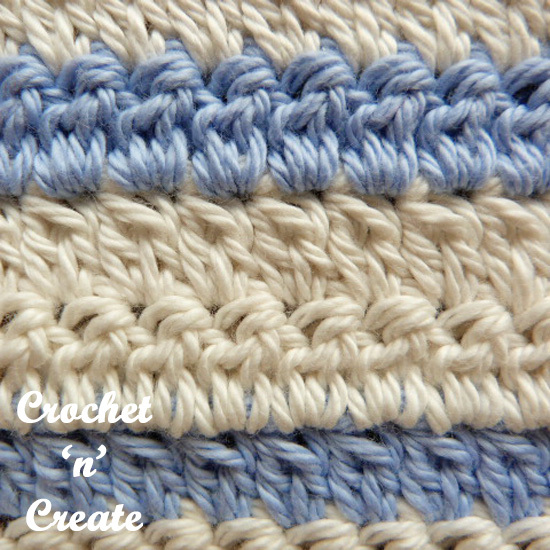 This is an easy and attractive stitch you can use for dishcloths or washcloths, blankets, placemats, coasters, bed covers and many, many more items for your family and around your home, once you have mastered the stitch it does not need a lot of concentration lol. 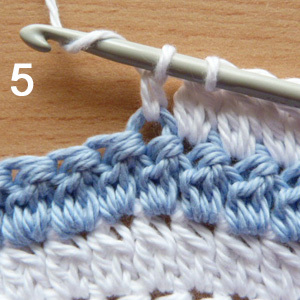 2) Insert hook through stitch. 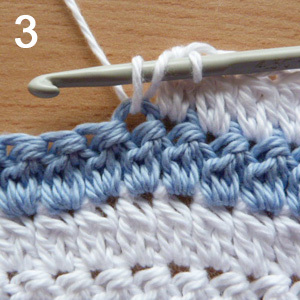 9) yo, pull through 3 loops. 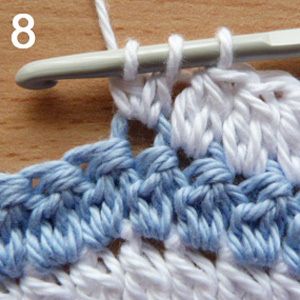 Repeat steps 1 to 9 along your row. 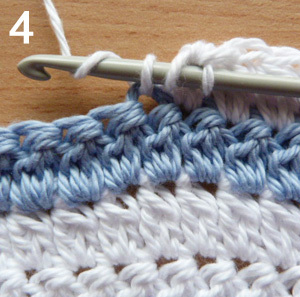 You will soon get the stitch momentum going and then you will be doing it at high speed, make sure you pin this st to you boards on Pinterest for when you need it. 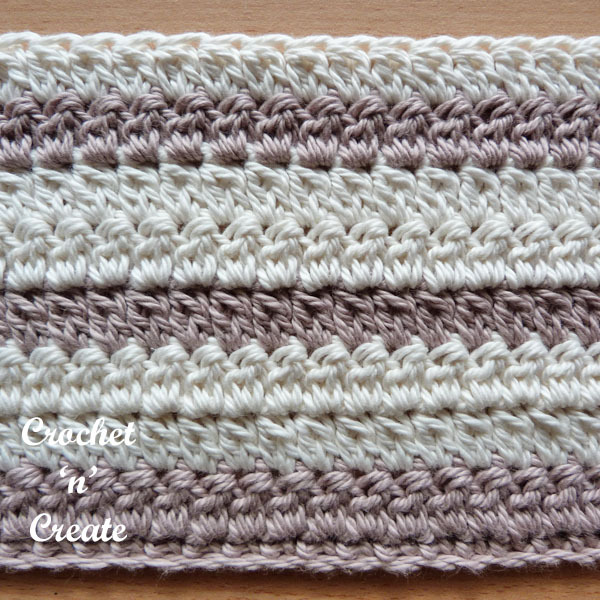 I’ll be back soon with more tutorials and free crochet patterns. 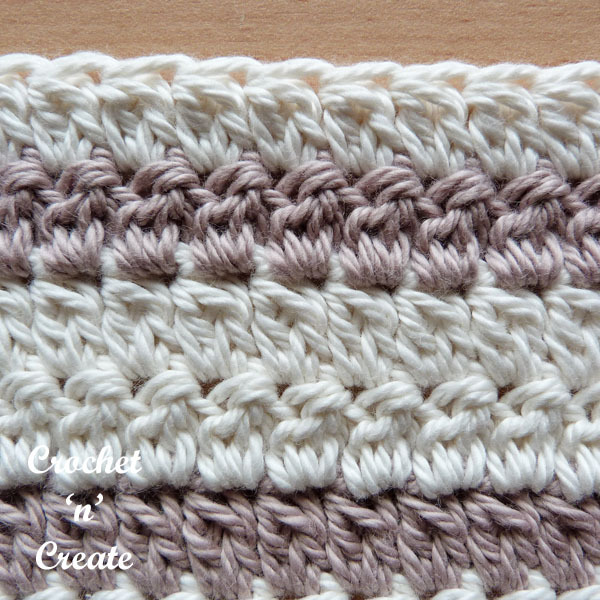 The written instructions and pictures for this crochet two cluster stitch pictorial are copyrighted to crochet ‘n’ create © 2017. 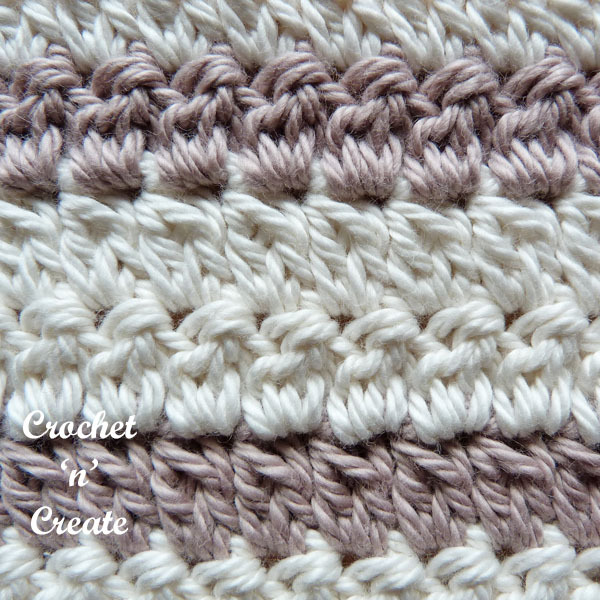 You are welcome to sell any finished products made from this crochet two cluster stitch pictorial, I just ask that you use your own pictures and put a link back to crochet ‘n’ create. 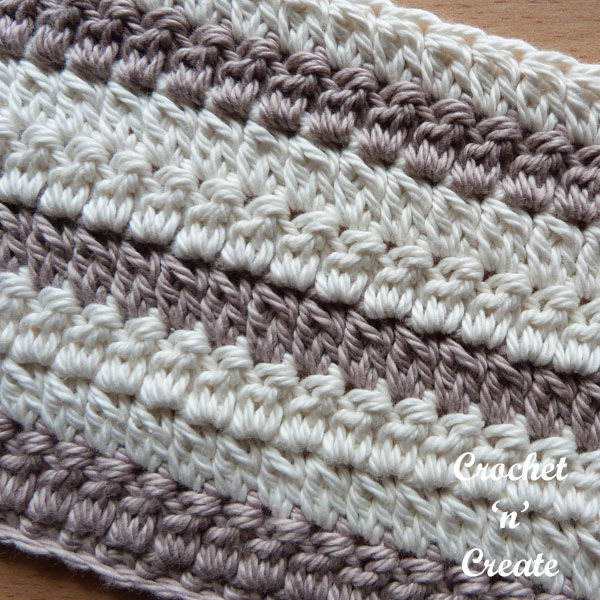 If you wish to share this crochet two cluster stitch pictorial on social media or your blog please only use a direct link to the pattern page on crochet ‘n’ create. 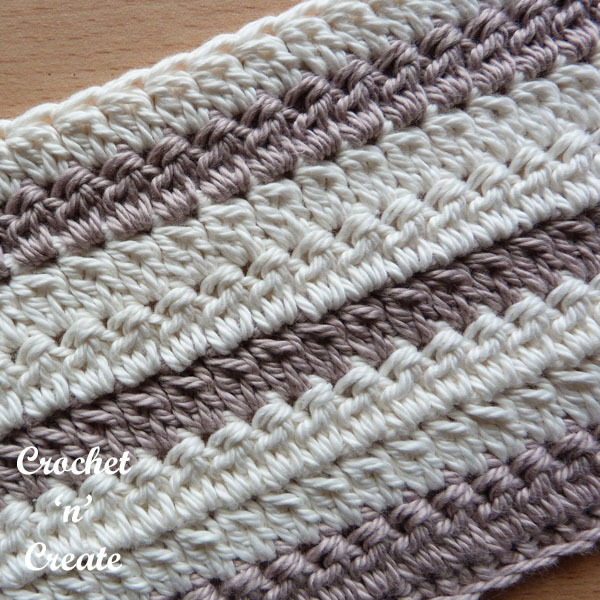 This entry was posted in Crochet Stitches, crochet tutorial and tagged crochet, crochet stitches, crochet tutorial, How too on 10th December 2017 by crochetncreate. 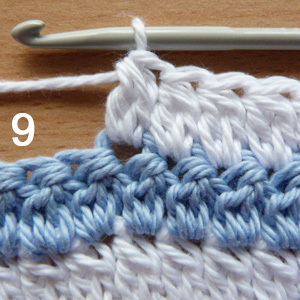 How do I start a scarf using this new stitch Two cluster stitch ? 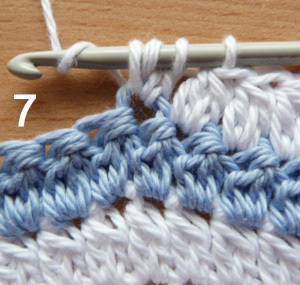 I love the close stitch and would like to make my daughter a scarf.